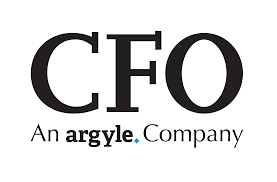 Nick and Rishi’s article was published in CFO in February 2018. Meet Bob. He’s the CFO of TechX, a growing SaaS platform-based company. Bob has been its CFO for seven years, having grown into the role from his roots in accounting. The good news: TechX was just purchased by a private equity firm, and Bob is eagerly anticipating the enhancement that will bring to both his resume and his wallet (the latter via a successful exit). The bad news: Bob will be fired. At least, that’s what the statistics say. Post-deal, PE investors retain the existing CFO only 25% of the time. Now, Bob — who is married with two kids, a dog, and a substantial mortgage — has always been considered a competent CFO. He’s well-liked by his peers and his junior reports. Perhaps most important/confounding, Bob has been credited with playing an important part in building TechX into a company that warranted pursuit by at least five different PE firms. And yet, Bob will still be fired. When Bob finds out, he is understandably apoplectic. He shouldn’t be. The writing has been on the wall since the inception of the deal. You see, Bob had already committed one of the seven deadly PE sins: he functions as a capable controller, not a strategic CFO. Here, we’ll explore that original sin and the six others that lead fund sponsors to fire existing CFOs. We’ll also explore some of the solutions for those sins — some of which are easier to rectify than others. Just Keeping the Books: The CFOs who commit this sin have grown up in a controller-style finance department. They excel at bookkeeping and accounting but have neither the experience nor the awareness to recognize the many other hats private equity CFOs need to wear (and wear well). Bookkeeper CFOs lack the ability and strategic sensibility to help scale the business. They don’t have the necessary window into funding, nor do they have the operational insights to effectively manage lenders. Bob is an excellent bookkeeper. Batting from Half Court: From the moment the PE fund purchases a company, the entire game changes. You can’t play baseball on a basketball court. Bob will need to adopt to the rules of the new game, and the new (expanded) dimensions of the field. For example, the fund sponsor will demand a new type of financial modeling, often at an accelerated pace. The PE-backed CFO will not only need to be informed and agile enough to build those models, he will need to be an effective spokesperson for them as well. The CFO here will need to be fluent in the art of managing up, serving as a departmental ambassador (and sometimes translator) to the board and fund sponsor. Those skills are rarely honed outside of the PE-backed environment. In fact, even when the CFO has experience with private institutional funding via venture capital, he will find that the reporting rigors of the new PE owner changes the landscape dramatically. Untalented with Talent: On the flip side from finance chiefs who can’t manage up are those who can’t manage down. They’re equally ill-suited to a PE environment. The transition from to PE-backed CFO comes with a significantly expanded portfolio of initiatives. He or she is no longer responsible only for the traditional functions of finance but also for reporting on a dozen or so financial-reengineering and value-creation programs. Make no mistake, we’re not talking about delegation — that’s table stakes. We’re talking about the importance of having a critical and unbiased eye toward talent, the ability to anticipate the next phase in the company’s evolution, and the willingness to make changes to the team accordingly. Those who can’t build and mentor the right talent team to manage multiple work streams will be invited to make an early exit. Losing the Versus Vote: As with every function, there are tradeoffs and compromises to be made when finding the right executive to fill the PE-backed CFO chair. The fund sponsor will need to make a series of skill-set choices, or “versus votes,” as we refer to them. Two that rise to the top of the firing line are worth flagging: (1) Rearview vs. Windshield, and (2) Industry Acumen vs. PE Experience. With respect to the former, the inherited CFO often comes to the table with significant institutional knowledge and an unparalleled ability to relate current corporate trends to historical patterns. But the role of the PE-backed CFO is much more about making calculated forward-looking assessments than allowing past to serve as precedent. As for the latter, while there are some sector-specific exceptions, fund sponsors tend to reward executives with PE-backed experience at the expense of acute industry knowledge. Of course, if an executive possesses both, that’s the PE unicorn. Undisciplined Dreamer: While many inherited CFOs struggle with the shift to a growth mindset, those who come from a venture-backed company struggle to adopt disciplined limitations. The “go big or go home” ethos of venture capital is antithetical to the “at the margins” investment thesis of private equity. Yes, the PE company is seeking significant growth, but it’s doing so by making explicit trade-offs for every investment and recognizing the return on every dollar spent. While all private capital is categorically similar, the processes of running VC-backed versus PE-backed companies are fundamentally different. So too is the CFO skillset that needs to be brought to bear. For many VC CFOs, that’s not an easily made transition. Not Ready for Prime Time: Perhaps the softest skill set to measure and the most difficult to assess is the “CFO X factor.” Does the inherited CFO have the polish to represent the company externally? The gravitas to lead a road show and be the ambassador for a firm trading on the public record? Perhaps more important, if the finance chief doesn’t come to the table with those instincts, can he or she learn and adapt? For far too many, the answer is a firm no. For that reason, the existing CFO is often exchanged for an executive with public-company experience. The Security Equation: There’s an inverse relationship between executive insecurity and willingness to accept support. Bob ultimately refused much of the assistance the PE fund offered, fearing it underscored his inexperience. But reluctance to accept help doesn’t expose deficiencies; it exposes insecurity. And that is the first and most important red flag for the fund sponsor. CFOs lacking skillsets or experience must know what they don’t know and embrace the opportunity to learn (and adapt) on the fly. They must proactively and confidently seek a network of resources (whether internal or external) that can supplement their knowledge gaps. Doing it in response to fund-sponsor suggestion is a smart strategy. Doing it before the deal is on the horizon, however, can be the key to job security. Call Me Irreplaceable: Before demonstrating their willingness to accept help, existing CFOs must give themselves the breathing room to prove their adaptability and value to the fund sponsor. Certainly, that is something they can affect by establishing entrenched roots within the organization. But surprisingly, it is the relationships outside the organization, most notably with the board and financial lenders, that can prove most valuable. For PE-backed CFOs, influencer irreplaceability, above all else, can be the key to longevity. Are you suddenly a private equity CFO after a PE firm acquired your company? Avoid these key mistakes to hold onto your job.